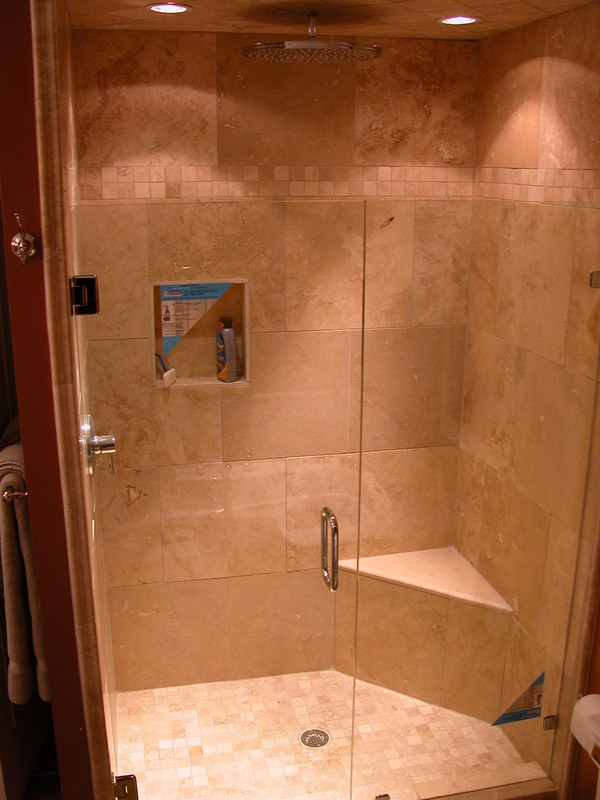 This time last year I was slaving away in the new bathroom (I posted the actual mushroom photo last spring). I'll total all the costs for Ellen and Reid soon. Pentagon cost overruns had nothing on this project. I’ve stuck to the Mon.-Wed.-Fri. routine. Bad for you, good for me. Am pondering whether to scale back to Tues.-Fri. Thoughts? Average word count of each posting (less the word count of the letters themselves): 244 words. True to my word, I try to keep things short and sweet…and a quick scan. I’ll gravitate to posts geared toward the whys and wherefores of the kid’s college years as we get into the school year. In that vein, it’s okay if you refer this blog to parents of the college-bound. Other empty nesters or wanna-be letter writers are welcome, too. Daily visitors average a few dozen. I’m fine with that. Estimated average time to create each blog posting: 10 minutes, tops. Like writing a letter, this is a cakewalk. 3) As with my letters, I keep a running list of blog topics. With apologies to Jack Keroauc, I tape the 8 1/2″ x 11″ sheets together in one continuous page. Single lined pages stuck together so far: 5. You won’t be rid of me anytime soon. You’ll have to see next week which topics made the cut. Here is last week’s letter to Ellen and Reid. Given recent news from last week, it’s already out of date. 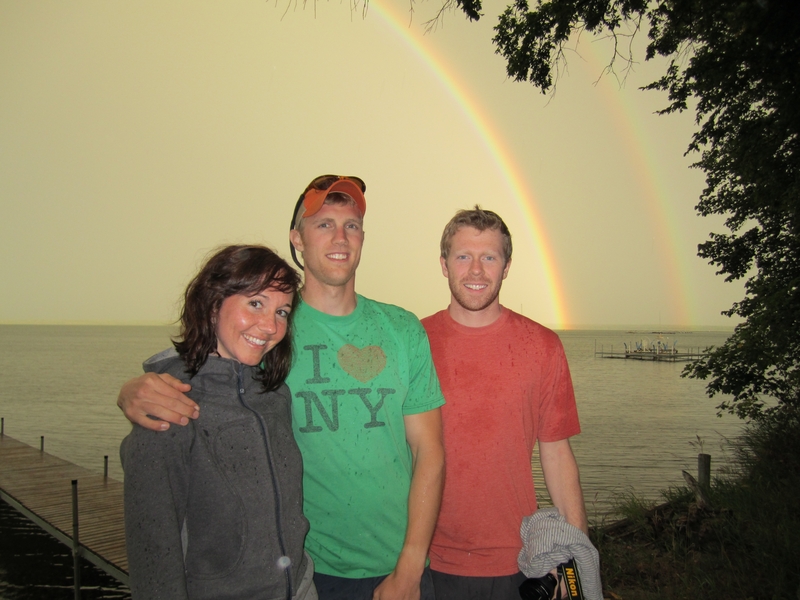 Ellen/Reid: Ellen, that photo you sent of the three of you at Cass Lake looked almost staged with the rainbow(s) in the background. You guys looked like you were having a lot of fun, although even without Henry in the shot it was great. Hard to think that I haven’t been up to the Pagoda in what, almost seven years? Time flies. I took the liberty of posting it on the blog. Things continue to move ahead tepidly here. Made a presentation this morning to ___________ Realty here in Charlotte. My pitch was to provide real estate content of a different sort than they use now. Like lots of real estate companies, they focus on listing and sale data, and my theory was that consumers need much more information than that. It was a pretty good session, although there was some reluctance but not much. But on the whole it went fine. Now I’ve got a proposal to put together. All is idle on the bank front. DOA for the most part. My last official day at my desk is September 30. Had a pretty good weekend. Took the bike for a long spin to Greenville, SC. About 240 miles round trip. The highlight for us was a stop at a little diner called Mike’s BBQ located in a strip mall close to the Harley dealership. The owner, Mike, was one of the most conversational restaurant owners I’ve come across. His BBQ sandwich was pretty good although if you don’t need to eat pork rinds, which is essentially deep fried pork skin, don’t. It takes some getting used to. Come to think of it, some leftover rinds are still in the bike’s saddlebags so I’d better get them out of there in a hurry. Reid, the Harley is running fine. Had to install a new battery caused the old one plum petered out. Nothing is cheap for a Harley: $124 for a new battery. Made three cheese (cheddar, mozzarella, parmesan) mac & cheese Friday night and it came out pretty good. The key is to bake it and broil the parmesan on top once the whole shebang is done cooking. It’s a tasty meal. Then on Saturday night Felicia and I made what’s called Low Country Boil which essentially is potatoes, onions, frozen corn on the cob, shrimp and sausage in a big vat that boils for about 20 minutes. You use a spice called Old Bay plus red pepper flakes and that really livens things up. However, I livened it up way too much by mis-reading (okay, not reading) the directions which showed 2-3 TSP of red pepper flakes, not the 2-3 heaping TBLS of red pepper flakes that I used. It was almost incendiary in its heat output. Instantly I knew something was wrong when my lips started burning. Even beer didn’t put out the flames. But I’d make it again in a heartbeat if you guys came down here although this time I’d know better to throttle back the heat index. The news on grandma has a silver lining. She is off her medications, and they are starting from scratch. It caused her to kind of get out of control, and your uncle had her committed to a psych ward in Hastings which is about 30 miles south of Grand Island. She sounded cognizant yesterday and she knows they are about to re-work the drugs she takes. I hope that it calms her down. She was in and out of so many places that people just lost track of what she was taking and why. Not sure when I’ll get to see her. Looks like my community college class might peter out, too. Only two students registered. On the flip side, I will teach a three part writing class through Caldwell, and my pastor wants to expand the attendance to other churches in the area, too. My guess is I’ll get 5-7 people to attend. Not a lot but that’s okay. Well, back to the real world. Keep your phones on this weekend. Look no further for the reason behind nearly 10 years of letters...Ellen, her hubby Tim, and Reid. Today’s post is the 100th since this blog debuted last January 27th. You’ll be spared any additional over-the-top celebration. Finally, 100 posts. One would think I’d run out of things to say. For those of you who are regular visitors, thank you for sticking with me. You’ve seen a campaign about weekly letters that began as a way to momentarily occupy Ellen and Reid’s time in college. But since those carefree days, the tone, voice and demeanor of the letters has changed. Lighthearted reports on joys and home life have given way to stark realities of adult life; wins and losses, disappointments and heartaches, anxieties and doubts. As the kids have matured, so too has what they read. I’d ask you for a few favors. 1) If you are a regular reader of these pages, keep doing so. Thank you. 2) If you know someone with college age children or children who have flown the parental coop, forward my URL to them. Perhaps they’ll find an outlet for their need to stay connected. 3) I’d like somehow to reach college advisors who wrestle with how to cope with or break the loneliness so many students feel. Maybe letters are one way to help. I’d like to reach professors of writing, too. But I don’t know how to reach the upper echelons of college administrators. 4) I struggle with overall promotion of this blog, so if you have ideas to spread the word about this blog, I’m all ears. 5) A wholesale revision of my book – the new title is under wraps – is underway. I’ll keep you posted on progress. But thanks again for reading my thrice weekly foolishness. I believe wholeheartedly in the idea of written communication. Hopefully, if and when this reaches a 200th post, you’ll continue to agree with that assessment, too. Ellen/Reid: As with subtitles that assure viewers in films that show animals in danger (‘no fish were harmed during the creation of this fishing film’) that was precisely the end result during the course of this past weekend’s trip to westernmost North Carolina. Rather than dine on fresh rainbows or brookies, Felicia and I instead cooked limp pasta and ate at a funky Mexican place. It is more proof that I simply don’t know how to cast a fly. I whipped the water to a froth and the only fish that took the bait were apparently slow on the uptake or had some sort of fish-related learning disability. The big ones were underwater, laughing. Saw one of the prettiest streams I’ve ever fished, and if I hadn’t been such a ham-handed klutz in terms of presentation of a fly, I might have actually caught something. The biggest fish was about 7 inches, hardly enough to keep. But it was an upgrade from the week before. At least the catch this weekend was measured in inches and not millimeters. But it was still fun. That part of Carolina – almost to Georgia and not too far from Tennessee – is a world apart. Lots of trailers and the people really do live closely with the land. We saw some traps and such, and people fish for sustenance, at least in my view. The streams and rivers get worked pretty hard. Lots of rafting on the Nantahala (sp?) and a nice river. It rained hard the last night and that roiled the water beyond fishability. Now it’s back to the job search. Sent many letters out last week to local real estate and other companies in the hopes of landing content-related freelance work which is in my wheelhouse. So many web sites are devoid of true consumer-oriented information. That might be where I could lend a hand. I do have my first client – an old friend of mine from Meredith days hired me to do content for he and his wife who are good producers for a real estate company out in the Bay Area of San Francisco. It won’t be much but the activity around it keeps me eager to do that sort of work. Who knows, perhaps I can parlay that into other work. We’ll see. Literally, there hasn’t been a single feeler from the scads of resumes sent out on so-called Internet job posting services. Honestly, it will be work in the trenches. We’ll see how it goes. Bless Jane H__________’s heart, she is persistent in wanting me to join Dave and Bob F. for a guy’s golf weekend in Idaho in about three weeks time. It’s a celebration of sorts for Dave. She’s trying to pick up all the tab, but that’s not going to work for me. I’d feel too guilty about leaving my post just when I ought to be looking for paying work. It kills me not to see the guys again, especially after four years, but this just doesn’t feel like the time to be running off and having fun. Bob is really working me, too, but in a good way. His most recent text reminded me that the job search would still be there when I got back. I feel a little bit of a shift, but the guilt would just be overriding for me. Have to get ready this week for a presentation to the Main Street shop owners in _______, South Carolina. The street is nearly absent of any business, and the owners appear to dicker about how to attract more business. What they need to do is spiff up the area and begin to do some group promotion. The tough part is the Main Street is not one you automatically drive on as you cruise through town. You have to purposefully turn onto it. It’s a highly spec job but who knows what it might lead to. Hey, off to the coffee shop to plot my day’s activities. You guys be good, keep in touch, and let me know how your worlds are rotating. The Charlotte Observer ran an editorial suggesting parents cut the cord quickly once their kids are in college. I disagreed - and sent an op-ed piece to the editor. Who knows if the paper will run it. If it does, it will appear here. Don’t read into this that I’ve caved to the siren call of technology but I do fold like a cheap suit when it comes to frequent use of what I’ve lambasted – texting – with Ellen and Reid. Instead, consider this my admission of guilt. To mix metaphors, I talk a good game but don’t walk the walk. By my count Ellen and I text a leisurely 3-4 times per week. The frequency is much less with Reid but when we do text the messages go in back-and-forth, rapid fire flurries. We did just that yesterday; we traded eight or so texts in a matter of minutes. There’s no denying texting has utility value. It has horned its way into how you, me, and every warm-blooded person in the universe chooses to contact each other. Sure, texting has its limitations; word count, breadth, personality, inflection, lack of spell check and iffy punctuation, et al. Text messages are way too rampant but it is a ready answer to our predilection with speed and yet more speed. Sometimes I wish it were not so. Texting is, and should be, part of how parents should keep tabs on their kids. Think of texting as one portion of your parental marketing mix (as are phone calls and infernal emails). For me there is a limited time and place for texting. That place is the back burner. Mom gets a letter mailed to her every week at her care facility. Here’s this week’s installment. Mom: We’ve had a break in the heat, if you call upper 80s or 90 a break in the heat. It was about to break me, that’s for sure. I’ve had enough humidity to last me a lifetime, and then some. Not much new to report these days. These are, however, the dog days of summer. We went fishing last week on the western end of North Carolina and nothing was biting except the mosquitoes. It’s quite pretty out that way, with the rolling hills and the trees. Lots of people but it was the tail end of the vacation season before kids went back to school. The school year started this week and the traffic has just become bonkers. It’s added a smooth 10-15 minutes to my morning commute. Yuck. Ellen called last night and she’s ramping up for her new classroom and new students. She is somewhat overwhelmed by all the preparation but she will get through it. She likes the school but the facility is under some pressure to improve test scores or some such thing for students. The school is lucky to have her because she will lift those results in a jiffy. She’s a good teacher and loves it. Looks like there are some changes ahead for Reid. He’s had an inquiry at work about looking at a new position (nice to be wanted) in some part of the business that analyzes research results or web pages or something like that. I don’t pretend to understand much of it. I hope he gets the new job because change is good in the advertising business. He’s also looking for a new pad. Seems like he has his eye on a studio apartment. The longer he stays in Chicago, the deeper his stake in the ground becomes. I fear he will become a Chicagoan. I don’t know if he likes the Bears as much as you do. He goes to Cubs games now and again. I’m looking for a new job here in Charlotte that will let me get closer to my writing roots. I’ve got a friend in California who has nosed around about me writing for he and his wife who is a Realtor. We’ll see. Speaking of writing, I will teach a three part class on writing letters at my church. I’ve closed the registrations at 25 because of the room size but if I get 10 to 12 people that will be fine with me. Each week I’ll read to them the most current letters to you and the kids. I’ll try to watch my language although a bad word might slip out now and then. Be good mom. I love you. Among the byproducts of recent events is a mountain of old photos and memorabilia. I mean a literal heap of pre-1900 photos (including a couple of daguerreotypes), incredibly preserved full color pre-WWI postcards and the like. (Note: mark your photos lightly on the back so you know who’s in each shot. We were reduced to guessing who was whom.) It seems we are swimming in family artifacts and history, but looking at some of the yellowed clippings, we have some shady characters in our past. Maybe somewhere down the road Ellen and Reid will add the weekly letters to the stack. Who in the hell would want them I don’t know, but they’ll have them anyway. As we sorted through the items last week the conversation always turned to context; what does this artifact mean and to whom, when was this photo taken and what were their lives like way back when, and how do we link relatives to relatives and tie all those loose ends together? Perhaps the pages will help pull our loose pieces together when the time comes. So it is another Wednesday. Here’s a page from an earlier decade. EB/Reid: Well, I’ve been here a month and so far so good. I’d knock on wood but my office is totally plastic. The people here are good, hard workers, and the town is a lot of fun. Traffic is absolutely bonkers but that’s just the way it goes. And it rains a lot, and when it does it just keeps a’comin down. But the music scene is really good. Saw a guy last night from Austin, Texas and his little band was just fabulous. Will go see Aimee Mann next Thursday night in NoDa (short for north Davidson neighborhood) which is also the arts district. Been in the throes of trying to buy furnishings. Will head about 70 miles north to High Point, North Carolina this weekend. It is supposed to be the furniture capital of the U.S. We’ll see. Need to get a bedroom set first, and other rooms will follow from there. The direction I’m headed is toward Mission style or what they call transitional furniture. You got the photos so you see the sort of space I have to deal with. It will be weird to not have a yard to more and a garden to tend. They say there’s a lot of container gardening down here, so that’s what I’ll do next summer. At least there will be a few tomatoes. Already, I have a bamboo plant and something called a ‘ZZ’ plant which apparently you can’t kill. So with my green thumb, that should work fine. It’s hard to be away from Des Moines but things will just move forward here. If you guys can swing it, come on down here for a week or a long weekend. I’ll get plane tickets for you. EB, head to Des Moines for Thanksgiving. I’ll drive over from Omaha after T-Day with Grandma and Grandpa. Keep in touch with them because they worry they won’t be able to see you. Uncle Ralphie is flipping out over Nebraska football (Reid, they play #4 USC this weekend) and he thinks of little else. EB, it’s odd to hear you talk about it already being autumn in Minnesota. Do you like it up there? How’s Tim’s job going? How do you feel about substituting? Sounds like the apartment job is working out pretty nicely. Sure wish I could come up for a visit. Let me check plane tickets. Can’t be super expensive, can it? None of my stuff is down here yet. Still sitting in storage in Adel and Des Moines. Your mom has stuff piled up in the basement for the movers to pick up, including the Harley. Can’t wait for it to come down here. West of here about 100 miles is Asheville, NC, and that’s the gateway to the Blue Ridge Mountains. Was up there a couple of weekends ago, and the roads and scenery are as stunning as any I’ve seen. The highest point in North Carolina is only 6,600 feet so what they call the mountains are entirely covered in oaks, maples, pines and ash trees. Kind of odd but very pretty. Lots of trout fishing (EB, don’t tell Tim). Well, gotta go. You both be good, work hard, and be sure to communicate to Grandma and Grandpa. Hope to see you soon EB, and Reid, your sister and I are talking about a visit to you later this fall. Make sure we know what dates you are not available. I’m back on home soil – North Carolina, that is – and most of the past week has been a blur. My dad has been only too glad to share historical points that have eluded me over the years. He seems to enjoy the diversion (me, too) and the instructional chance for his grandkids. We either set aside the information now or we lose the chance. What has been gleaned is beginning to re-surface in the weekly letter. My guess is this ‘knowledge sharing’ will go on for some time to come. My brother and I have uncovered a trove of family artifacts; photos from as far back as early last century on through the ’40s, my dad’s early report cards (“we’re glad to have him here as a student” said one teacher), his war records including his pay stubs ($3 extra for a B-17 mission is hardly hazard pay), my mother’s baby book created in the late 1920s and early 1930s, plus more. When I was younger, I would not have given this much of a second thought. We can look much of this up online, but it’s far more fun to have it in your hands. Ellen/Reid: I’m at the keyboard of your grandparent’s PC. The house is pretty much empty in the major rooms, all of it having been moved to the new spot out in west Omaha. Your grandparents seem to have adapted grudgingly to their new surroundings. Your grandfather is, I think, more okay with things than your grandmother who asks me over and over “when can we go home?” She has her moments of clarity and her moments of agitation. She is in the current room that we signed up for before your grandfather had his intestinal surgery. Grandpa is in a completely different recovery wing. But we move her on Tuesday into the ‘memory unit’ for those with Alzheimer’s, dementia, or stroke-related memory loss owing to her being found roaming outside last week. It’s going to be a battle because they require that she stay in the contained unit – no potential for escape – for a solid two weeks to become used to her surroundings. The rules say no visitors. It will be tough for her. Your grandpa knows this will come down and he acknowledges, too, the difficulty. He can use the time to rest up and tend to his own needs. We’ve told both of them time and again that at least they are in the same facility. They limit the amount of items she can have in her new room. Only a certain number of clothes, towels, etc. She was short on bras, and trust me you haven’t lived until you step up to a check out line at Target to buy your 84 year old mother two 36-D bras. She did see some of your wedding photos, Ellen, and that was a moment of joy for her. Your grandpa isn’t faring too well. He’s retaining a lot of liquid – edema, they call it – and that’s a residue of both the cancer and the bowel surgery. He’s very weak, and there’s no way in hell he could have possibly card for your grandmother. He slept a fair amount yesterday and we watched some golf on TV. He has no appetite and at most can eat a couple of bites from an already small portion on his plate. They have ice cream available 24/7 which I try to tempt him with but he will have none of it. I gain weight, he loses it. It was heart wrenching to watch the nurse undress him tonight to put on his PJs. He literally is skin and bones. We’ve talked at length about his final arrangements. He wants a military internment whereby an honor guard does the final salute followed by a memorial service at their church. We picked out his clothes and put a timetable to the service. We talked about the main points for his obituary. He’s trying to prepare us as best he can. It’s odd being in a chair next to his bed as we calmly talk about this although it is probably a good thing. There are moments of great difficulty for me but for the most part I’ve stayed composed. I’ve taken a lot of notes on family history stuff, mainly on his side of the ledger, and much of it was unknown to me so I’m glad to have asked question after question. Your grandpa’s family is English-Scottish-Irish. Seems his side of the family has a sordid past. One of your unfortunate forebears was unfortunately hanged in England for stealing a horse. Once that episode passed, the rest of them made their way to the New World as indentured servants in the Carolinas. There is no doubt as to your Southern roots; your grandfather’s dad (my grandpa Ed) had the middle name of Yancey. You don’t get more Southern than that. Your grandpa’s mother, Mary (my grandmother) was born in 1887 in a soddy in rural Nebraska not too far from Omaha. A soddy is just that; a home made of cut sod with each slab piled atop another to form a wall. Quite common in the plains states. Your grandpa is not certain how they met but she and Ed married in 1918. He ran an electrical company down on 13th street in south Omaha that I remember going to as a kid. I can still see the narrow, floor-to-ceiling shelving that was loaded with wire and gear in a dusty, dark building. (You’d think an electrical company would be bright and white.) If you ever see turn-of-the-century photos of old stores, this was it. I’ll put all of this down on paper at some point relatively soon. We’re not certain of your grandmother’s side – the Andersen’s – other than a big chunk of it is Danish. Your grandmother’s brother, Henry, will be here tomorrow from Oregon to make his final farewell and I plan to ask him about some of this past so at least we will have some information to go on. Keep your phones on so I can keep you abreast of events. This is just another element of life that all of us must deal with as best we can. This post plays directly on the few preceding it. Ellen and Reid have been all ears about their grandfather’s situation. The three of us have gone back and forth; they with their questions, me with the latest news and updates. We have borrowed time, enough so to collect both current information – and collect ourselves. Really, it is all about a family drawing together. As it is, I’ve sat with my dad, he in his bed, me sitting in an institutional chair. We’ve talked candidly and openly, father to son and son to father, about two important matters: what lies ahead, and what is in our past. We know the first is coming and it behooves us to address the latter before it is lost forever. I write this on Saturday evening as I watch him sleep in his bed. For years I’ve silently wondered about our roots; where we came from and who my/our ancestors are and what they did and where they lived. Every so often over the years would I poke around for tidbits of information but now my reporter’s notepad is out and open. My pen has plenty of ink. Dad knows what’ I’m up to as I glean as much as I can before he tires. The concerted effort to archive information began when I was here a few weeks ago. Much of it surfaced in a letter you can read a few lines further down this page. This is important to my clan. Both Ellen and Reid commented as much as soon as they got last week’s letter that chronicled some of their grandfather’s memory. This is essentially an oral history. Of course there are ancestry web sites that offer to do the legwork for you. Or you dredge up the past in bits and pieces; just as I’m doing. There is something consoling and correct when you sit across from your ailing father and he opens up all he knows about his, and my, past. Ellen/Reid: EP, hard to believe that a year ago this time you were in a frenzy to get all the wedding plans finalized and done. It just seems like yesterday. This Friday I go back to Omaha for a week to help prep your grandparent’s home for sale. It’s been a pretty abrupt turn of events since I was there two weeks ago. Your grandfather is now in what amounts to a convalescing wing of the same facility where this all started. Your grandmother spends her days in yet another wing, a lockup really, where she can’t wander outside the confines of the building. They can still see each other and have meals together, so that is all good. I’m a little worried about seeing him this Friday vis a vis his condition from just a couple of weeks ago. It’s just tough dealing with what he’s dealing with and then to throw in major stomach surgery on top of that. Your grandmother will move full time to her wing and when he’s able, your grandfather will join her in this new suite. It does not have a kitchenette and is apparently smaller so some of the furniture we moved will have to be moved again. We’ll rent another U-Haul this Saturday to move the heavy kitchen table and a dresser. Not sure what we’ll do with it once it’s moved but we’ll figure it out. Your uncle and Gayle have apparently cleaned up the house as best they can and have already moved out all the valuables. The house goes on the market tomorrow. I’m somewhat perturbed with the real estate agent who falls back on that same old, same old formula of painting it neutral and re-doing some carpet. All that does is make it easier for her rather than her selling to the home’s strengths and overcoming objections. It’s in a great neighborhood, close to downtown, big wooded lot, etc. My job apparently will be to begin boxing things up. Reid, some tools are coming your way (or at least I’ll stow them for you) and maybe some other paraphernalia. 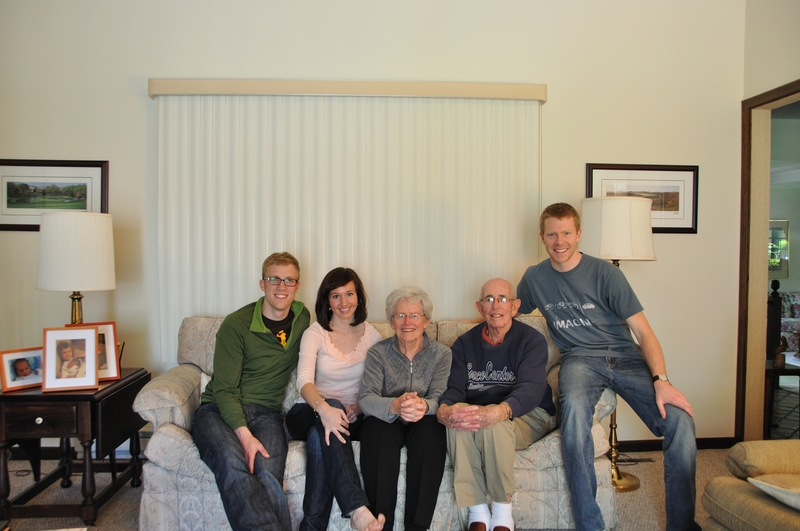 It is somewhat difficult knowing your grandparents hardly had a moment to think about the move, let alone say goodbye. Boom, it was over and done with. Personally I have very little emotional investment in the house since I never lived there. I don’t foresee any of the furnishings as salvageable in a stylistic sense. It’s all period pieces you guys probably aren’t interested in. They weren’t much in the way of buying antiques and such. Cookware is what I have my eyes on. I also want to keep an eye peeled for family history stuff. Your great grandmother, Mary Bradley, lived in Gretna, Nebraska. Her last name was Allington. Her dear sister was my Aunt Ollie, and she was a gem. A great woman with an incredible attitude. You guys probably don’t know this, but the entire time I was growing up, Mary and Ed (your grandfather’s dad) never lived together under the same roof but always lived in adjacent housing. Both very strong personalities. Back in the ‘40s, your great grandfather made some investment in wheat in southern/western South Dakota. He and Mary were going to move to Martin, South Dakota, in part because Mary had asthma and the thinking was the dry climate would be better for her. She did in fact make the move but Ed didn’t. Not quite sure what happened. But Martin was very close to the Pine Ridge/Wounded Knee areas of the Dakota Sioux which we visited often, and not too much to the liking of the Sioux. Your uncle and I spend parts of many summers roaming the plains. You guys may not remember it, but we made a side trip to Martin one summer vacation when you were peanuts so I could show you the old homestead but it didn’t register with either of you. One summer your grandmother was up to visit, and one evening they said “come on boys, let’s go visit the cellar.” We didn’t know they’d seen a funnel cloud west of town. The tornado removed every stick of the garage, lifted oil tanks at the Standard Oil depot next door and razed some housing across the street, but it left grandma’s house intact. We never heard a thing. Mary ended up back in Omaha and lived out her days in the house we moved into when we left Sundance, Wyoming. I’ll fill you in on Wyoming later. Politicians have their brand of ‘family values’. We have ours. One of the great things about a regular letter is every page helps you (in this case, me) fill the kids in on what’s important to our clan. Once they’ve flown the coop to college or the working world and are absent of family kitchen table banter during meals (jeez, what a pie-in-the-sky dream: family banter at meal time) there is a greatly reduced opportunity to pick up verbal scraps about what rocks your world. A chunk of potential dialogue and chance to shape and share opinions dwindles away once they are no longer around. The environment is important. I recycle virtually every scrap of paper and bit of plastic. The trash men love me for my light loads. I want the munchkins to respect their world. I tilt just a tad to the left politically. I come from the Watergate era when a certain party butchered the notion of public trust. We have never been the same. If we have a Tea Party, it usually involves Earl Grey. Be respectful of other people. They can have their views and you can have yours. To be polite, civil and nice never hurt anyone. You will find no endless and heavy-handed paragraphs devoted to my views. They are of the age of majority and they can make up their own minds. But they deserve to know the building blocks in their backgrounds and where their dad is coming from. Frost’s road less traveled has many exit ramps and Ellen and Reid are free to find a detour of their choosing. With a little help from their old man, of course. There was no letter mailed to my parents this week. Drat. Their whereabouts and the facility they would end up in was in too much of a state of flux. But I am off to Omaha today (Friday) and I’ll hand carry what they need to see. Probably read it to ’em, too. Here is a letter from a few years back. Mom & Dad: The weather mavens are calling for 80F this afternoon so we have gone directly from pre-spring to summer like temps. Had the kitchen window open this morning so as to hear the birds, and it was very nice. On the other side of the scale, opened up a melon only to find it almost entirely buggy and rotten, and without milk, it was sort of a sparse breakfast. But there’s no end of food downstairs of fast food joints. Within two weeks I’ll be up your way. Really excited to blow out of town and hit the road. It will be good to venture over to Des Moines to see friends and golfing buddies, who I have prepped in terms of low expectations for my game. They’re not entirely buying it but they’ll see for themselves the sorry state of my game. I’ll probably head out pretty early Thursday morning and return about meal time on Saturday. Of course, it depends on when I play golf. Rode with a Harley group last night to some flea-bitten cantina for dinner. It just reemphasizes that I like to ride by myself instead of with some group. I just don’t have much in common with those other riders. Maybe it’s a sign that it’s time to get rid of the bike. Just kidding. But it was a nice evening for it. In the mid 70s. Reid is in the throes of looking for a job. Not a lot of real hot prospects in Indianapolis, and I think what will happen is he’ll venture back to Des Moines where he has a lot more contacts. The hiring scene has definitely slowed down, and that doesn’t bode very well for college graduates. Reid needs to be more proactive and targeted in what he wants to do. He may venture on to the graduate school scene, but I really don’t know what schools he’s already applied to, if any. He’s a good kid if someone would just give him the chance. Ellen seems to be keeping her head up. She’s frustrated with her current job, not the job so much, but not having many prospects for teaching. She gets paid pretty well, probably more than a fledgling teacher would make, but she’ll get there soon enough. If she and Tim tie the knot, knock on wood, that would solidify her situation somewhat because Tim would do okay in the job market. Not sure where he wants to land. He’s got another year of grad school at Minnesota. Mike H____ and Mort M________ are due to arrive a week from today. We’ll play golf and eat, then play a little more golf then eat some more. We won’t be a wild and crazy bunch, that’s for sure. Not certain what film Mike is working on right now, but he’s got some time on his hands. That’s why he’s headed down here. It will be good to have them in Charlotte for a couple of days. Well, that’s enough for today, but I’ll call you guys soon enough. Hope you’re feeling better mom. The cause of your pain in the neck is sitting right next to you, most probably.